The Bulletin notes, without comment, a report in The Harvard Crimson that the Ku Klux Klan has an organization at Harvard, and the first step toward a Harvard branch was taken two years earlier. The Graduate School of Public Administration (forerunner of the Kennedy School) opens its first regular session with 15 students, 10 of them veterans of federal government service. The 1962-63 Treasurer’s Report indicates that Harvard’s expenses, for the first time, approximate $100 million. Bursar’s cards are replaced by plastic student identification cards, in part to speed up operations at Widener Library’s circulation desk. 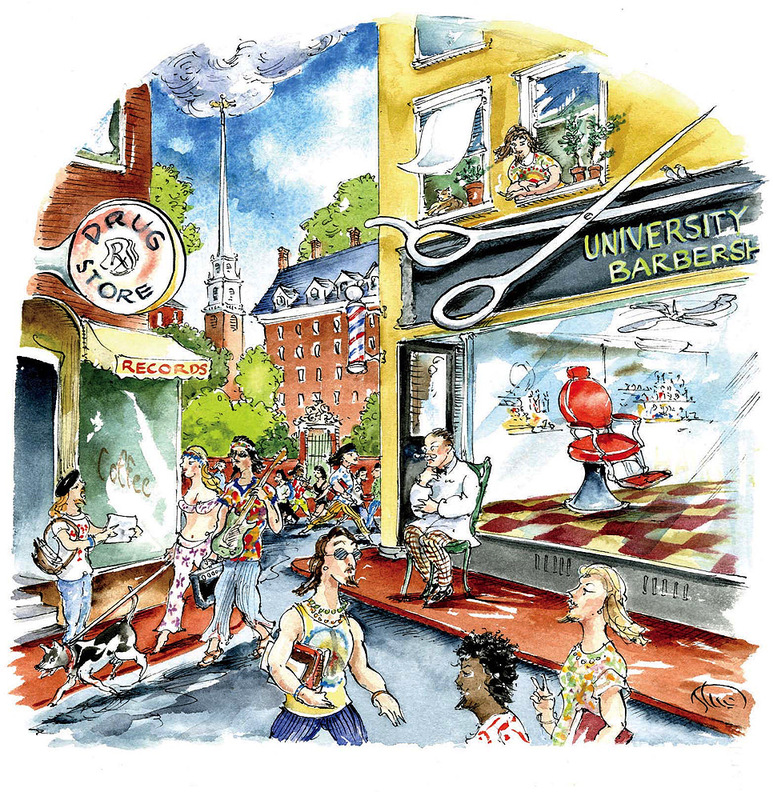 The University Barbershop on the corner of Mass. Ave. and Plympton Street has closed after more than 80 years of service. Co-owner Allen Moloney, son of the founder, laments that most Harvardians are shunning the shears in favor of more substantial decoration for the gray matter below. A gift from the Andrew H. Mellon Foundation establishes Harvard’s first professorship in African history; Kenneth O. Dike is named the first incumbent. President Bok announces that the CIA has chosen to ignore a request that all government agencies reveal any contracts, covert operations, and consulting agreements with Harvard personnel. University guidelines urge community members to avoid participation in intelligence operations.